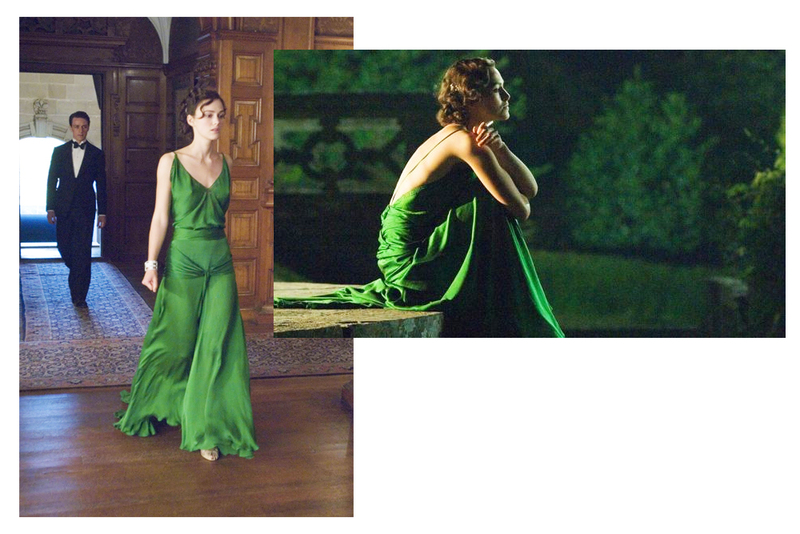 It came out over 10 years ago, but I still think back on the 2007 film Atonement a lot. The film was a revelation for me. Its plot devastated me, pulling at my heartstrings all the way through before obliterating them with that cruel, cruel ending. It was a beautiful study in cinematography and production design; who can forget that long tracking shot of James McAvoy wandering through the chaotic French beach in the midst of the war? But more than the story or the music or the cinematography, that darn dress is what I think of the most. Lately, though, I have been spotting a few dresses that come close to acheiving the level of perfection of the Atonement dress, and for that, I thank the designers out there doing the Lord's work. Here are some of the best lookalikes I've found, perfect for rocking the Atonement style in the 21st century—and, you know, without all the tragic stuff that comes after that dress. What film fashion moment do you think about the most? What a gorgeous green dress! So fun and flirty!